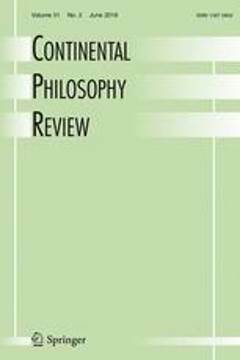 (2004) Continental Philosophy Review 37 (1). Where is the phenomenology of attention that Husserl intended to perform? For the most part, attention occurs as a theme adjacent to much more topical and innovatingly operating acts: first, the intentional act, which represents a destitution of the abstract opposition between subject and object and which paves the way for a detailed analysis of our perceptive horizontal subjective life; second, the reductive act, specified in a psycho-phenomenological sense as a reflective conversion of the way I am looking at things; third, the genetic method understood as a genealogy of logic based on our experiential affective pre-discursive world-life. In this respect, here are some of the leading questions of my investigation: What are the differences and the proximities between these methods and attentional activity? Why is the latter not put to the fore as a method? To what extent is this secondary part played by attention linked to the constitution of phenomenology as opposed to psychology (for which attention is a central theme), and what does it mean for the impossibility of phenomenology to freeing itself completely from psychology? Depraz, N. (2004). Where is the phenomenology of attention that Husserl intended to perform? : a transcendental pragmatic-oriented description of attention. Continental Philosophy Review 37 (1), pp. 5-20.